“We are having babies today,” that’s what the doctor said. I was 25 weeks along. They wheeled me into surgery, two teams of twenty doctors and nurses were waiting. I tuned out everything and asked God and my mom up in heaven to take care of the babies and me. I felt so calm and embraced the moment of delivery. The delivering doctor was so wonderful, when our little boy Pierre was born at 3 p.m. he took the time to show him to me. I was amazed at how big he was! He did the same with Julia who was born at 3:02 p.m. That was all I saw of the babies. When they wheeled me out of the room, one isolette was headed down the hallway to the NICU. People were telling us congratulations and we weren’t sure what to think. My husband kept saying it wasn’t supposed to happen this way. We waited until 7:30 p.m. that night to finally hear that we could go down to see them. 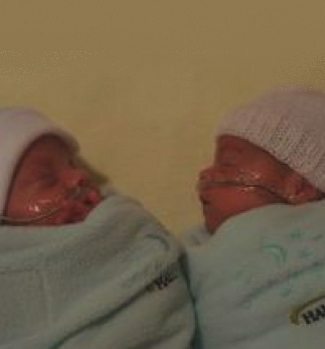 They were both on ventilators and had what felt like a million things hooked up to them. It was then we found out Pierre weighed 1 lb. 15.7 oz. and was 14 inches long and Julia weighed 2 lbs. 2 oz. and was 13.5 inches long. From that moment forward I didn’t want to leave the babies for a minute. The doctors and nurses told us we would have to get use to living one day at a time with how premature the babies were. If the babies survived, they wouldn’t be coming home until close to their due date of April 15th, so the Stormont-Vail NICU medical team prepared us for a long journey. Being even an hour away in Emporia would have been unbearable. Just having to leave the hospital without your babies was hard enough. Two days after the kids were born, my husband, sister and dad checked us into the Ronald McDonald House. They stocked up our cupboard with groceries and came to the hospital raving about the incredible housing there. I didn’t know what to expect and when I saw it for myself I felt God was watching over us once again. 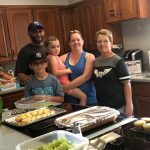 Although our lives had been turned upside down, from the moment I stepped into the Ronald McDonald House I felt everything was going to be okay. After the first week my husband Paul had to return to work in Emporia, so he could only see the kids and me on the weekends. 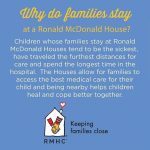 My husband’s family lives in another country and my family is over a thousand miles away, so for the next three months, the Ronald McDonald House was my home-away-from-home as well as my family. Although Paul was only able to come on weekends, I never felt lonely. There was always someone there to talk to when you needed it. I got to know so many other parents and hear their stories. All of the house managers were so incredible and such good listeners. I remember a few nights I’d get home late when the babies would have a bad day and Larry, the night manager, or someone else would ask how the kids were. It’s funny, it really makes you think. Sometimes that’s just what I needed and as I recapped how they were doing it was like a load off my shoulders just saying it out loud. Our son Pierre’s first home after the NICU was actually Room 3 at the Ronald McDonald House. He was discharged from the hospital a week before Julia. My mother-in-law flew in from South Africa to watch Pierre while I went back to the hospital to check on Julia. That’s where he had his first night home, a memory I will never forget. The babies are doing great, we couldn’t ask for more. They are all smiles and giggly. 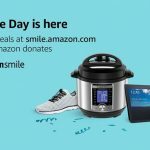 Julia is still seeing a pulmonologist for her lungs and we have a physical therapist that comes out every other week to help them meet their developmental milestones. We know we still have a long journey ahead of us but thanks to the comfort and care at the Ronald McDonald House the physical and emotional pressures of the first critical three months were easier to handle.